We are currently looking for talented Country Manager ( Spain ) for our clients awesome company. This is an excellent opportunity for you to join a skilled and growing company. 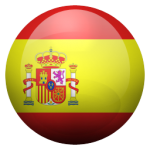 As a part of our Client’s continuous growth, we are looking to add a Country Manager – Spain to join their team. The position will be responsible for setting the direction and requirements to generate growth within the Spanish market. This is a fantastic opportunity for senior marketeers who are ready for their next move. Ensuring that our products are optimised and localised for the Spanish market. Able to work within our client’s campaign planning process, contributing with localised campaign ideas, marketing briefs and campaign review deliverables. Our Client strive to give all our employees the best working experience in the industry.